We constantly remind ourselves about how competitive the garden center marketplace is … and it truly is! 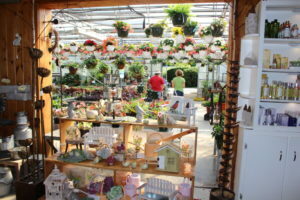 Products in our industry are sold in locally owned garden centers, home improvement chains, florists, discount chains and some supermarkets. And, in the larger view, we’re battling for our share of non-horticulture dollars for products offered by every other purveyor of merchandise and services, including online retailers. Plus, what makes our task even more daunting is that the majority of consumers don’t yet understand and appreciate the reality we know that they need our products in their lives every bit as much as they need other necessities of life. The intensity of competition is increasing and running rampant in all retail segments, but none more than in the food retailing sector. Think about all the venues where food is sold. First, there are over 28,000 supermarkets in the U.S., with major national chain consolidation taking place to achieve operating efficiencies in a category with slim margins to start with. Then consider the 800-pound gorillas like Wal-Mart, who singularly controls over 25 percent of the total market. And then there are national discounters like Target, warehouse clubs like Sam’s Club and Costco, strong regional chains such as Hy-Vee and HEB, even home improvement chains such as Menards, and many more. Growth in the food categories is somewhat stagnant, largely dependent on population growth (or lack thereof), with the result that individual store growth is fueled by cannibalizing customers from a competitor. To build customer identity, food retailers have evolved into two major value segments, one being focused on high service and the other on low price. Unfortunately, there haven’t been too many food retailer brands that have been true to their value proposition, rather wafting back and forth between the diametrically opposed positions or, worse yet, attempting to do both simultaneously, with the result that they confuse the consumer or they quickly become unprofitable. And if the consumer is confused and doesn’t really understand what the retailer stands for, without providing a reason to shop that resonates with their personal values, consumers take their dollars elsewhere. In today’s marketplace, it’s as critically important to know who you aren’t as it is to know who you are. Understanding this then feeds into knowing what your company values are, what you stand for and how you develop your business platform and positioning. Conversely, unless you define who you are, you can’t create a consistent positioning message your customer can relate to. to deserve these accolades, I was surprised that two companies showed up consistently in multiple surveys. Interestingly, both companies have somewhat different positioning, yet share many of the same operational and consumer focus attributes … and are related. Both companies are part of Albrecht Discount, a German- based entity that, while relatively small in the U.S., happens to be the largest food retailer in the world. The first company is ALDI, a low-price, no-frills operator that has a laser focus on keeping operating costs low and quality high. With 1,600 stores today, they have plans to open an additional 800 stores in the next four years, becoming the third largest U.S. food retailer (in store count) behind Kroger and Wal-Mart. To maintain their low prices and high quality on fresh and dry grocery products, 90 percent of the assortments are private label, with much of the product being processed in their own factories. Couple this with their focus on keeping operating costs low, charging 25 cents for the use of a shopping cart, 5 cents per shopping bag if you don’t bring your own, self-bagging at the register, cut-case merchandising on dry goods and produce on warehouse-type racks, and limited store hours. But don’t think that low prices and a no-frills shopping experience appeals only to lower income patrons; you’ll find as many Mercedes and Audis in the parking lot as you do beaters! And ALDI isn’t resting on its laurels; they are currently investing $1.9 billion in remodeling their U.S. stores, in addition to their future investment of $3.4 billion in expanding their store base. ALDI’s success is proof that consumers of all economic strata appreciate consistently high quality, and low prices are a bonus. Trader Joe’s is the sister company. With 425 stores in the U.S., its focus is on high product quality and exceptional customer service, providing a fun and memorable experience for its customers. They have consciously limited their store growth in order to ensure that they don’t dilute the customer experience as experienced by many high growth chains. truly set Trader Joe’s apart in the customers’ eyes. First are exceptional employees hired for a personality that loves people. Second, are being transparent with their core values that customers relate to in their marketing about what it stands for (i.e., no artificial coloring, flavoring or preservatives, and non-GMO, etc.) and their commitment to high health and ethical standards for all of its products. the trust they’ve earned from their consumers, the customer is confident that the limited choices will be the best of the best. Critical to protecting their unique culture and identities — they are consistent. There’s a lot to be learned from studying the leaders in other consumer markets, identifying what the winners are doing to protect their existing customers and appeal to new consumers; ALDI and Trader Joe’s offer some great insights in how they operate and market that make them favorites in the customers’ eyes. It takes a lot to successfully compete in the highly competitive food retailing sector, and these two retailers have cracked the code for success.